Covers for the iPad mini are sold everywhere, popping up quickly after Apple(s aapl) introduced the small slate in October. I’m still using a Zagg Keys 9 keyboard and case combo for my iPad mini, but there are times that I want to lose the keyboard and go with a stylish case. Just yesterday, I wandered over to the Twelve South site to see if they had their BookBook case available for an iPad mini. Nope, only the larger iPads were supported. But my timing was clearly off because today there’s a BookBook for iPad mini. Engadget noticed the product launch and my finger is already hovering over the “order” button. The BookBook, for those not familiar with it, is a case that makes your iPad look like a vintage book. It comes in three colors for $69.99, which includes U.S. shipping: Vibrant Red, Classic Black and Vintage Brown. 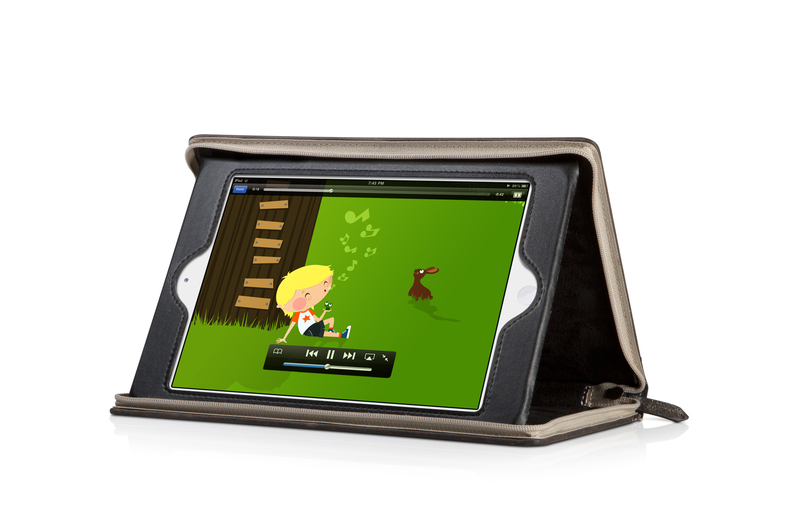 The BookBook opens and closes with two zippers so you can still charge your iPad mini while in the case. The BookBook isn’t just a looker though. Your iPad mini is secured inside the case in what BookBook calls a support frame: Essentially, it’s a leather pocket or sleeve holding the tablet. Two hardback book covers wrapped in leather make up the front and back while between the support frame and the covers are lined with black suede for protection. You can even prop up the iPad mini for watching video or typing with the BookBook, so there’s no functionality loss compared to most other cases. The BookBook weighs 7.5 ounces, which isn’t too bad considering the light iPad mini itself weighs 10.8 ounces. I worked full-time in a library for six years so maybe that’s why the BookBook is calling my name? I love my Book Book for the iPhone. They only part I’d change is the ability to keep in in the case to take a picture. Since there is no camera hole in the Book Book, you can’t take pictures while still in the case. Is that the same with the new Book Book for iPad mini? Wouldn’t it be actually useful if you made a post after you used it (or at least after you decided to buy it not just hovering over the buy button) rather than rephrasing the product info page? With the help of : http://www.blabook.com you can publish your ebooks super easy! It looks great on iPad! BookBook looks very nice! Let’ talk about books! Sharing knowledge and sustainable education for the future! I also believe that a place called “Pad & Quill” in Minneapolis makes one. Not quite as nice as the Book Book though. I take that back…after looking in that they have more options. It’s not that their option is not as nice as the BookBook, its just different..and they have more options, which is always a plus! 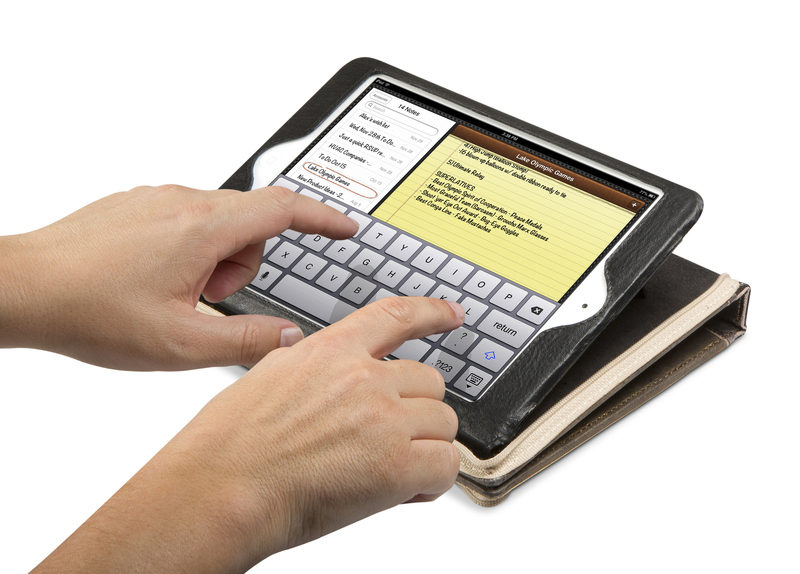 I’ve had one for my iPad for the past few months…and LOVE it. It does not always stay in the case, but when I leave the house with it, it stays inside the case. You can also just slip it into the case without putting it inside the leather securing section if your in a rush. it still protects it and does not bulge. I like the title on the spine… “Book Book”. If they are smart, they will let you special order a title of your choice. Or perhaps we can come up with some good snarky or punny names here on this thread?